Kağan Korad toured all over Turkey, as well as Europe, Asia and Africa, giving over 500 concerts with his ensembles and as solo, and also performing in the most prestigious guitar festivals in Europe, including Koblenz, Guitart, Volos and Naxos. With his groups, he gave the world premiers of many works, some of which were dedicated to them. Besides his international performing career, Mr. Korad has been on the jury of various national and international competitions, has given master classes, and delivered speeches at seminars. 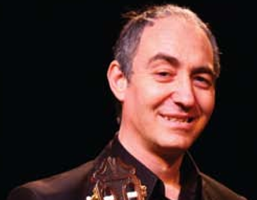 He was a founding member of both the Association of South-eastern European Guitarists (ASEG) established in 2001 and the Classical Guitar Association Turkey in 2003. He has undertaken the planning and coordination of many international organisations, including Turkey Guitar Meetings, 2nd International ASEG Meeting, İnönü University International Guitar Festival and Guitar Competition. Kağan Korad has many arrangements for orchestra and two guitars and for trio, duo and solo guitars. He recorded with Bilkent Guitar Trio under the label of Kalan Music in 2000 and his duo CD was released by A.K. Music. He also perform some pieces at productions of Guitart -Belgrade “Guitart Festival” in 2003 and Cagsav “Meeting with the Guitar” in 2013. “I loved the way Korad-Terci Duo performed my Concertomaggio. Not so often to hear musicians so careful about rhythm and pulse, two of the major elements of my music in general. Not to mention an incredible and true sensitivity in their warm playing all along the concerto. That makes me feel perfectly understood by them. Bravo ! 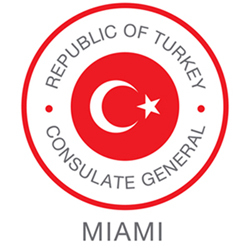 Kagan Korad’s participation is co-sponsored by the Turkish Airlines and Turkish Consulate General in Miami.